I always thought that speed skating would be too hard to do for fun. It is a highly technical sport requiring a significant degree of specific training in a very unnatural body position, which must be maintained consistently for it to be remotely feasible. That’s a lot of jargon to say: it hurts, a lot. Still, several years post-retirement and after having two babies, I harboured visions of getting back on the ice someday, just for fun. I had not skated in over six years. I was woefully out of skating shape, but I threw out the idea to a group of fellow skaters-turned-moms-with-careers at a recent pub get-together. No takers. 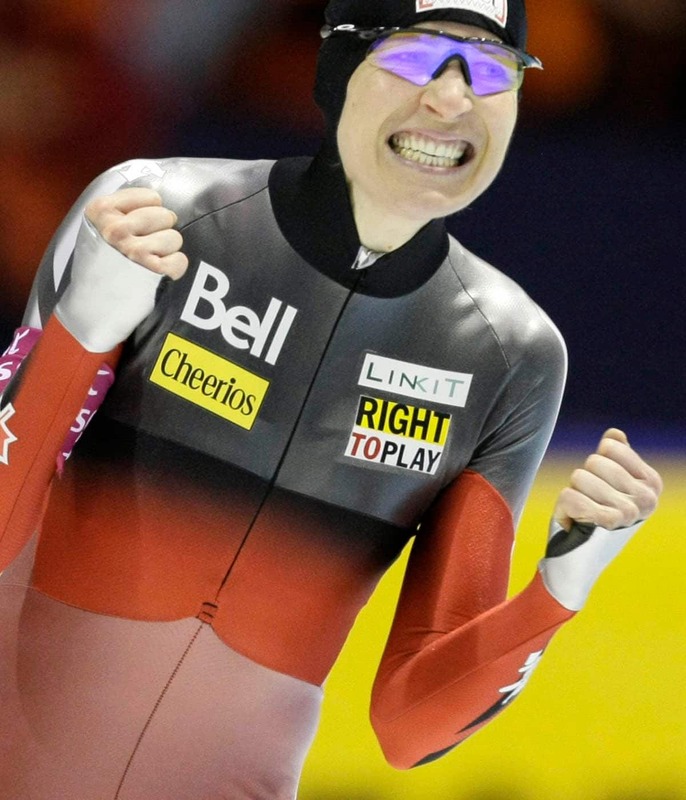 I got a note, out of the blue, from retired Canadian speed skater Brittany Schussler, also a mom of two, saying she was in for 7:30 a.m. Wednesday mornings. I was faced with an actual decision. The reality of dragging myself out of bed early to go skating, when my youngest is not yet sleeping through the night, bordered on the absurd. Still, I wanted to go. As soon as I walked into the oval I felt a rush of excitement — would I still be able to skate or even stand up on my skates? I worried that after two pregnancies my feet would no longer fit into my sleek, custom-molded, carbon-fibre boots, but my fear was unfounded. They went on like silk slippers — my feet felt immediately and perfectly at home. Stepping onto the ice, my heart was still pounding with trepidation as I eased into that unnatural position, unsure if I would be able to do even one lap. Yes, the first few laps were awkward and shaky, but by the end of the session I felt remarkably comfortable and smooth... and not quite as out of shape as I feared. Of course, I would not be able to race fast, and any attempt at a standing start would tear numerous ligaments, but I can still do it and it is fun! I guess after 23 years in the sport, my body still knows how to skate. It’s in my bones. I really needed this. You see, there’s been an uneasy feeling lingering in the pit of my stomach for some time. It feels as if I’ve woken up from a good dream to the sinking realization that reality is not so great. The good dream was my Olympic dream, which I upheld my entire career as worthy and meaningful and fair. The reality is that sport these days feels like a total sham in light of the endless parade of doping bombshells. Certainly, cheating in sport is nothing new. In fact, it goes back to the first Olympic Games in Greece 2,900 years ago. Lacking steroids, they resorted to bribery, foul play, and jinxing opponents. On an intellectual level, I know and understand this. But throughout my career I upheld the belief, however naïve, that my sport was relatively clean and that because I was clean, everyone else must be too. My heart just couldn’t go there. Maybe it was self-preservation. Maybe it was because sometimes I won and figured there’s no way you could beat cheaters if you were clean, so there must not be any cheaters. But now that doping in speed skating is out in the open, and we know that it has been there all along, my belief in the spirit of sport is in tatters. Sometimes I just want to check out. How do I reconcile my love of sport, my belief that it is fundamentally valuable to athletes and society at large, with the disturbing reality of state-sponsored doping programs and widespread cheating? Maybe I can’t. Maybe it’s just about letting go of my idealism and accepting reality. That is the root of my angst — I don’t want to let go. As I grow older, the world loses a bit of its lustre. Things are not always as simple as I thought they were. Humans are imperfect actors in an imperfect life, and socially constructed ethical standards — don’t cheat — are pitted against our measures of success — winning. Sigmund Freud famously said “One day, in retrospect, the years of struggle will strike you as the most beautiful.” When I look back on my career, I remember the struggle, the sacrifice, the hard work, the deep commitment to basic improvement, and most importantly, I remember the joy that was borne out of all that. Freud was right. The challenge is what makes it so worthwhile. In that context, it is pointless to consider whether in some instances I should have ranked a few places higher up the standings, or even won another medal or two. That was not what gave my sport meaning. I just wanted to be good at speed skating, and I was. Doping doesn’t change that. The excitement I felt at returning to the ice reminded me of when I first started skating at age 11, a starry-eyed little wisp of a girl with Olympic dreams in full flight. Man, it was so fun! That joy resurfaced when I stepped out onto the oval again. I was reminded of a simple fact: the reason I skated all those years was because I loved it so much. What really matters is holding on to the joy in spite of those hard truths. Otherwise it’s a fast track to bitterness and I certainly don’t want to live like that. I’m all-in for the fight against doping in sport, every step of the way. It’s the right fight. But I won’t let cynicism creep in. It’s not worth it. Instead, I’m heading to the oval for 7:30 on Wednesday mornings and I can’t wait.